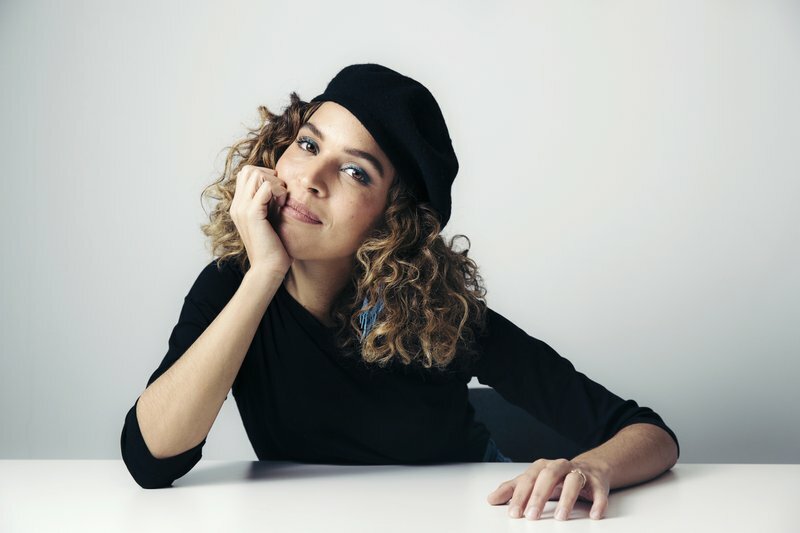 Cleo Wade is known for not only her poetry, but her positive, uplifting Instagram mantras that have earned a following that includes Yara Shahidi and Jessica Alba. So it’s not surprising that on a day when she’s running around like crazy promoting her new book, she doesn’t complain about being tired, but has another affirmation that fuels her eternally optimistic outlook. “Heart Talk: Poetic Wisdom for a Better Life” isn’t a self-help book, but it contains plenty of verses from Wade that are aimed to feed the soul — she calls it a “healthy soul diet.” Her inspirational slant has led her to be being called the Oprah for millennials. The book covers everything from self-worth to relationships. AP: You spend hours with fans at book signings. Why is it so important for you to give people your full attention? Wade: There is a desire for people to be seen and heard. We can’t possibly learn how to love our neighbor unless we find common ground with them. But also we can’t understand how to listen to others if we don’t listen to ourselves. Whenever young people email me about heartbreak I tell them, this is the most divine point in which to listen to yourself because there’s such an education as far as your learning, your needs and desires. AP: You must find wherever you go people want deep conversation and encouragement. Wade: I’m definitely the person that if I am in a space, I’m looking for the macro-connection and if I feel like I can’t take that on, I just stay home. For me, I definitely have that boundary of if I don’t feel like I could really be in that space, hear about your life, show up for you, and offer the best of me to you, then I know that’s a day that I need to stay home. AP: Where does your outlook on the world come from? Wade: (Laughs) I definitely think a lot of it comes from growing up in a place like New Orleans because it’s a deeply expressive culture. Also my dad is an artist, my mom is a chef. Having these people with such clear manifestations of what they like to do with their time, it definitely fueled me to understand that there is a very individualized thing you can do in the world. AP: Social media has really helped you spread your message but do you find it can be toxic sometimes? Wade: It can either be used as a tool or a weapon. I always encourage people to really monitor their media diets. I don’t think food is the only thing we digest. We also ingest information and if you’re finding your media feels really divisive or if it’s making you judge or covet in a way that doesn’t make you feel good, then it’s time to maybe switch up your media.